Start off your visit on the 20th (Thu): see the sky in a new way at Jantar Mantar - Jaipur, then explore the historical opulence of Amber Palace, and then step into the grandiose world of Jal Mahal. To see reviews, more things to do, photos, and tourist information, refer to the Jaipur travel planning site . Lucknow to Jaipur is an approximately 2.5-hour flight. You can also drive; or take a train. In June, daily temperatures in Jaipur can reach 47°C, while at night they dip to 32°C. Finish your sightseeing early on the 20th (Thu) so you can travel to Udaipur. Kick off your visit on the 21st (Fri): contemplate the waterfront views at Lake Pichola, view the masterpieces at Gothwal Art, then take an in-depth tour of City Palace of Udaipur, and finally get engrossed in the history at Bagore Ki Haveli. For traveler tips, where to stay, ratings, and more tourist information, you can read our Udaipur online trip builder . Fly from Jaipur to Udaipur in 1.5 hours. Alternatively, you can drive; or take a bus. When traveling from Jaipur in June, plan for a bit cooler days and about the same nights in Udaipur: temperatures range from 43°C by day to 32°C at night. 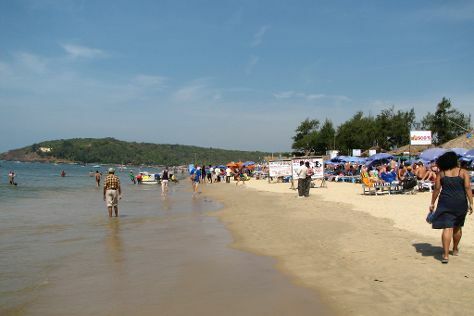 Finish up your sightseeing early on the 21st (Fri) so you can travel to Goa. On the 22nd (Sat), enjoy the sand and surf at Baga Beach. To see more things to do, where to stay, photos, and tourist information, read our Goa trip planner . Getting from Udaipur to Goa by combination of flight and bus takes about 8 hours. Other options: do a combination of bus and flight; or drive. While traveling from Udaipur, expect a bit cooler days and about the same nights in Goa, ranging from highs of 35°C to lows of 29°C. Wrap up your sightseeing on the 22nd (Sat) to allow time to travel back home.